3 intro Dives can be chosen by Yourself. 3 intro Dives can be chosen by Yourself. As long the conditions and possibilities allow to do so. is great challenge for those who wish to get more experience.With your new skills the world of Diving offers many new opinions. Not only to continue your training up to a Dive Instructor. No as a Advanced Diver, you are able to visit new places. And start new adventures all around the globe. At the end of this course you will receive the internationally recognized Advanced Open Water Diver Certification which allows you to dive a maximum depth to 30 meters. Each dive of this course also counts as dive 1 of any specialty course, if you wish to do specialty diving courses in the future. 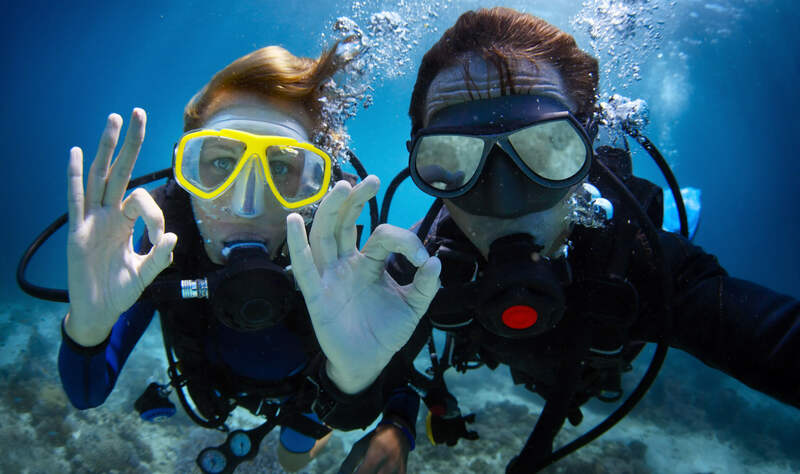 As a Advanced Open Water Diver, you will be able to Start now with a new levels of Diving. You learned already the Basics of Deep Diving and Navigation. After this experience, you might learn more about Deep Diving or Navigation? you can join in the Deep or Navigation Speciality Course. Or even go one step farther and taking your First Technical Diver Trainings, where you will learn even more detailed Theory and Diving Skills.